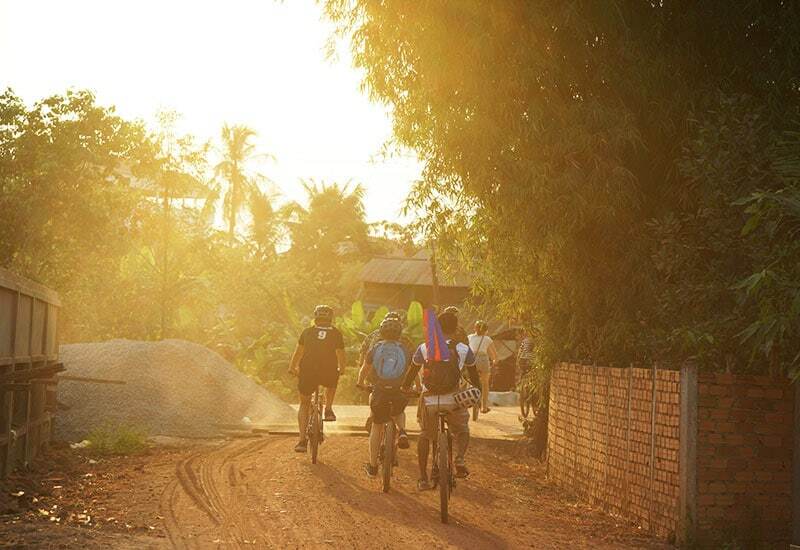 Siem Reap is at its most atmospheric at sunset and this bike tour lets you explore the scenic countryside. 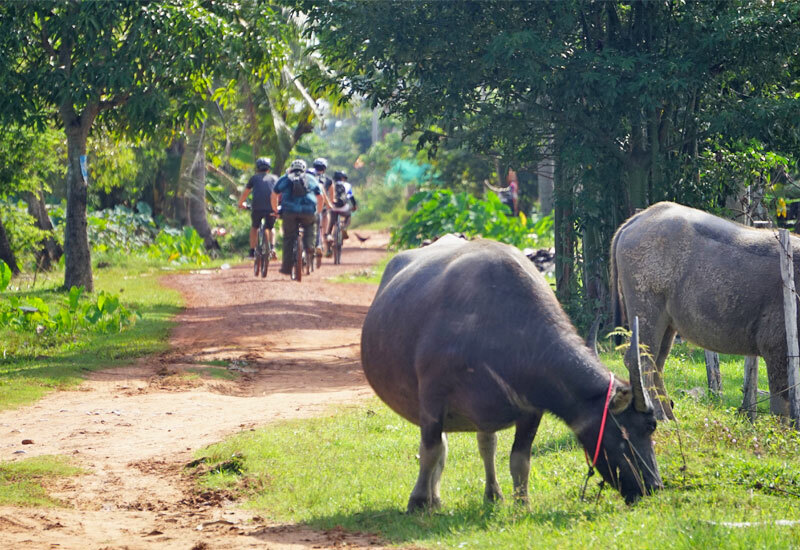 Leave the busy streets of Siem Reap behind and cycle along dirt roads and country lanes, past rural villages and lush rice paddies. 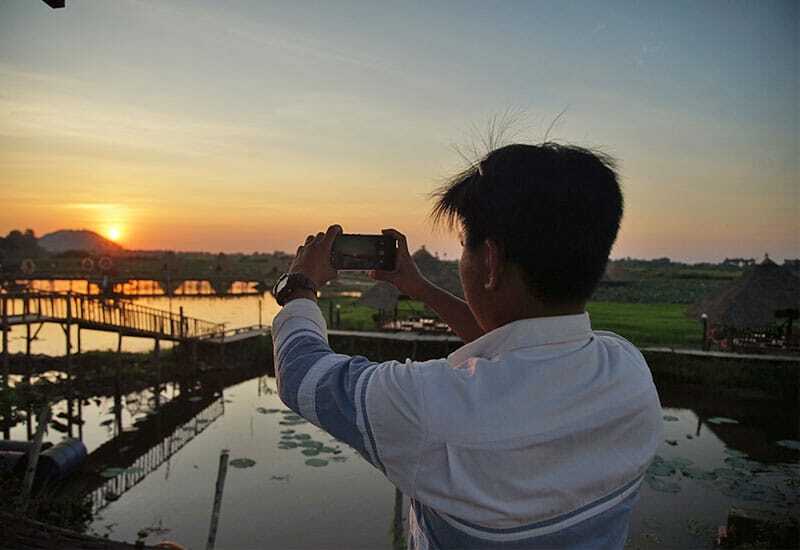 Stop along the way to meet the locals at a traditional village and learn the everyday life of Cambodian, then continue to a viewpoint to watch the magical sunset. 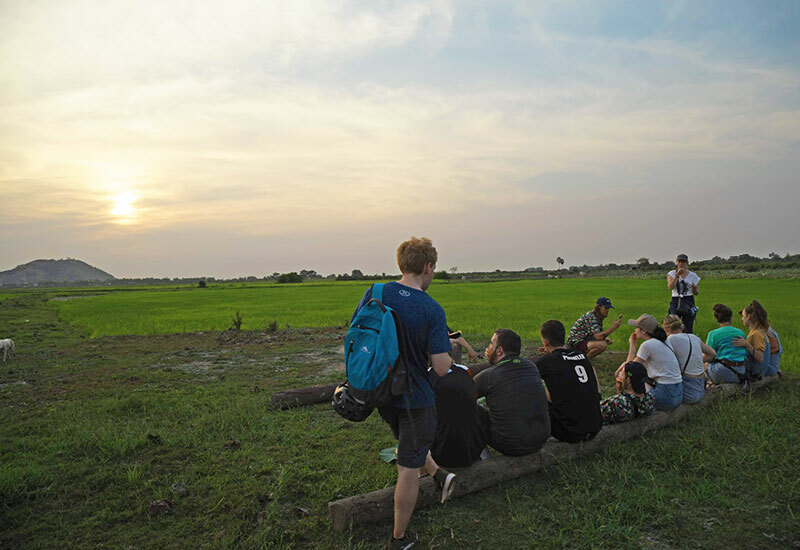 You will be served delicious snacks with cold beverage whilst you watch the sunset over the wide, flat, expanse of rice paddies. You will be picked up from your hotel on the complimentary tuk-tuk. Once you arrive at our office, your guide will set you up on the bicycle. 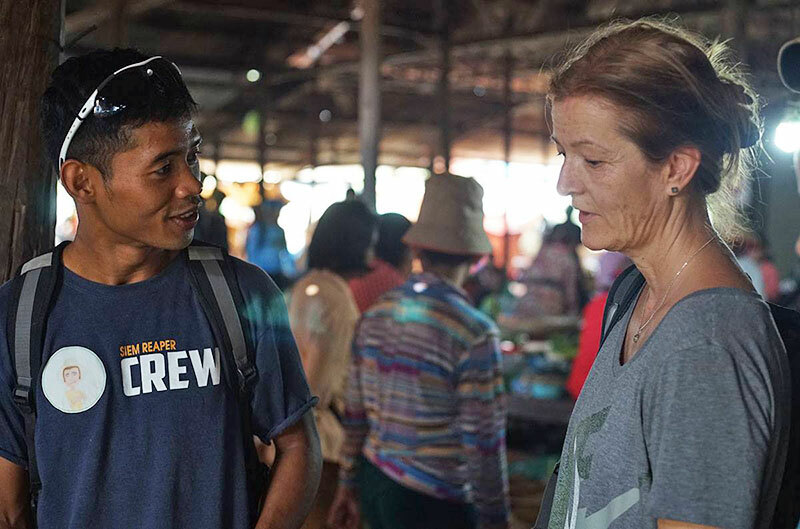 After a brief introduction about the tour, you will take a quick ride through the somewhat busy streets of Siem Reap to get off the beaten track and ride through the beautiful villages which many visitors often miss. 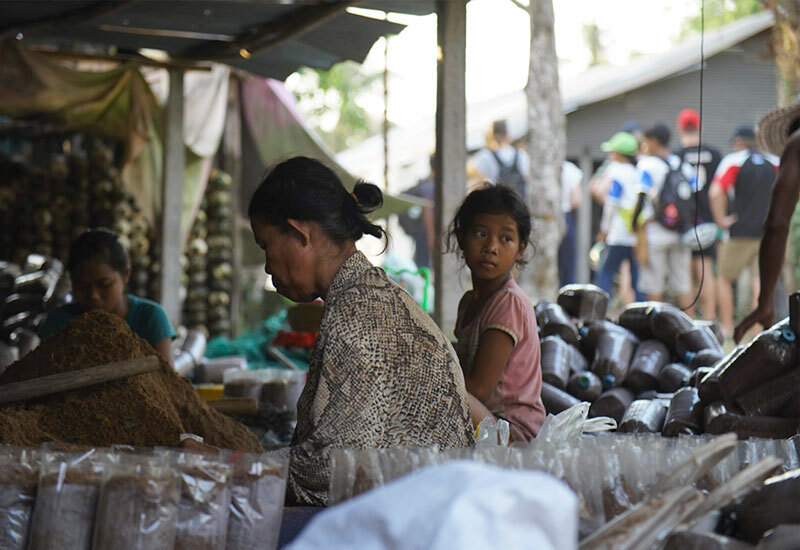 Your first stop will be in a small village in order to take a break and to learn about local livelihoods. Along the way, you will most likely see children waving and saying hello! 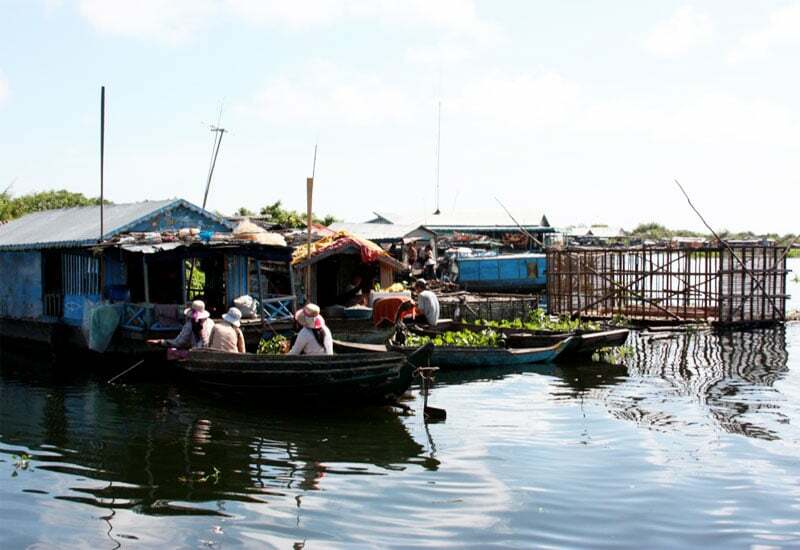 Through this tour, it equips you will the opportunity to interact with the locals and the lush landscape. Continuing along the dirt roads you will also stop off at local farms to understand the many ways people make a living. To end the tour, we will find the perfect spot to watch the setting over the palm trees whilst washing down a cold beverage and local snacks. This tour is expected to return back around 7 pm. Our tours run rain or shine, and we have raincoat available for in our office for anyone that needs them. We encourage all guests to consult the weather forecast and to dress accordingly. We have to say that this tour is very well organized, interesting and beautiful. We were lucky to be the only ones that booked it so it was private. Our tour guide George is from one of the villages that you go through, so he really know the area very well and the people too. He can tell you about their lifestyles, how a mushroom farm works… He’s very nice and friendly, which makes the tour even better. The ride is about 15-20km mostly flat, easy. We think that it would’ve been better and nicer during the rain season. The sunset is just spectacular! The place is awesome! We would definitely recommend the tour! I was extremely fantastic with the tour. I operated the comfortable bike with a guide in Siem Reap tour. It was asolutely terrific. I rode a bike around the temples with the amazing view. Especially, the view of the sunset. 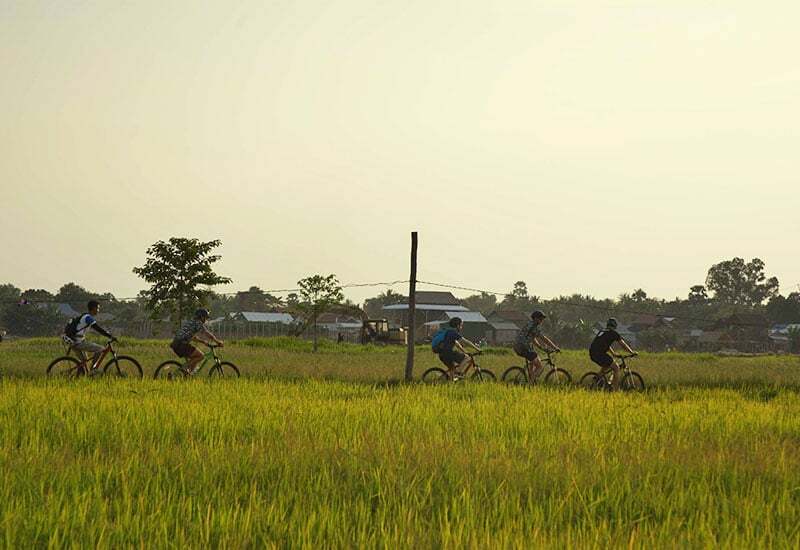 If you really want to see a piece of authentic Cambodia, go cycling with SIEMREAPER. 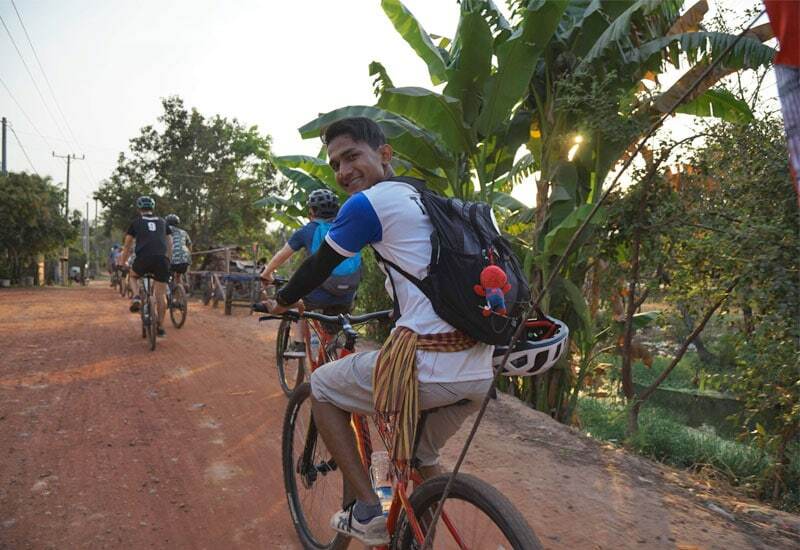 Book a trip, you will be picked up and taken from your hotel and cycle into the Cambodian countryside.